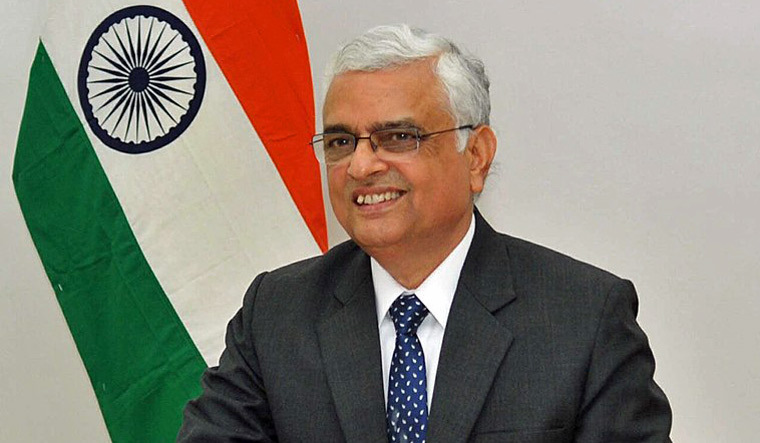 A team headed by Chief Election Commissioner Om Prakash Rawat would be meeting nine recognised political parties Monday evening at Hyderabad. The team comprising 11 members will be in the city for three days to review the poll preparedness and leave for the national capital on October 24, an official release said. "The OP Rawat team will be meeting nine recognised political parties in the evening between 4.30 and 6 pm at Hotel Taj Krishna. Each party will be given 19 minutes to voice its views. Later the team will have meeting with the Telangana Chief Electoral officer Rajat Kumar and police nodal officers," it said. Election Commissioners Sunil Arora and Ashok Lavasa would also be coming here as part of the team, Rajat Kumar had earlier said. "They would review the preparedness for the polls. If there anything that their attention is drawn then they will look into that also," Kumar said. The is the first visit of the EC after the election schedule for the state was announced. The team would meet all the electoral officers and Superintendents of police of all the districts on October 23, the release said. On October 24, it will hold meetings with Senior officials of Income Tax Department, Railways, Airport and various Banks. On October 24, the Rawat team is expected to meet with the Chief Secretary SK Joshi and DGP Mahendar Reddy. It would leave for the national capital on the same day after addressing a press conference in the afternoon, the release added. The Election Commission (EC) had on October 6 announced the election schedule for five states, including Telangana, which will go to the polls on December 7. The assembly polls in Telangana were originally scheduled to be held simultaneously with the Lok Sabha elections next year, but the Assembly was dissolved on September 6 as per a recommendation by the state cabinet.